An intestinal obstruction is a partial or complete blockage that results in the failure of the intestinal contents to pass through the bowel. 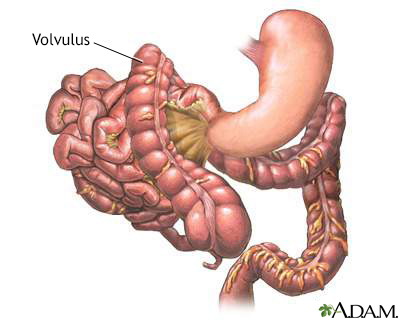 A volvulus is a twisting of the bowel on itself. It is one cause of intestinal obstruction. 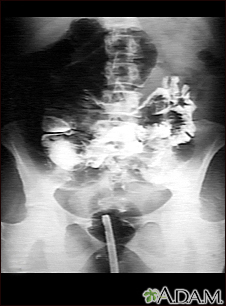 A GI series in a patient with a twisted bowel (volvulus).